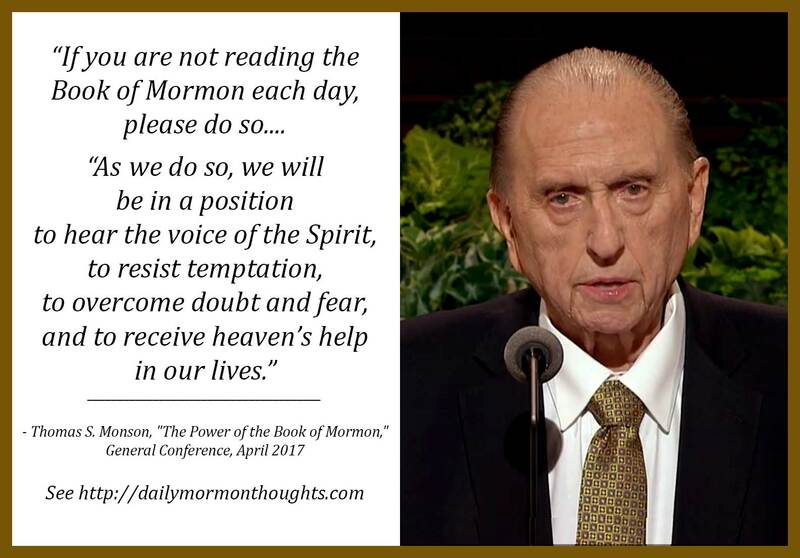 "This morning I speak about the power of the Book of Mormon and the critical need we have as members of this Church to study, ponder, and apply its teachings in our lives. The importance of having a firm and sure testimony of the Book of Mormon cannot be overstated. "My dear associates in the work of the Lord, I implore each of us to prayerfully study and ponder the Book of Mormon each day. 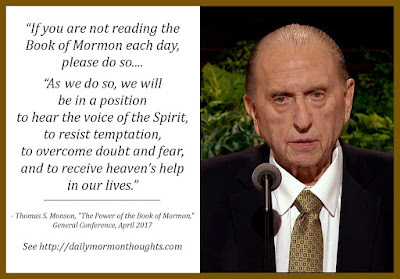 As we do so, we will be in a position to hear the voice of the Spirit, to resist temptation, to overcome doubt and fear, and to receive heaven’s help in our lives." in 1963. He has "worn himself out" in the Lord's service. His youthful vigor is gone—he gave two very short messages in this conference, and was not even able to attend all of the sessions. His words are a little slurred now, unlike the strong and bold voice we have been used to. It's interesting to reflect on how frequently we have been taught, as a church, this same message over the years by many leaders. But yet we still need to be reminded and re-challenged. 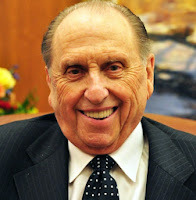 It is up to us all, one by one, to claim the blessings that are promised, including strengthened testimony, familiarity with the Spirit's voice, ability to resist temptation, overcoming fear and doubt, and receiving more of "heaven's help in our lives."